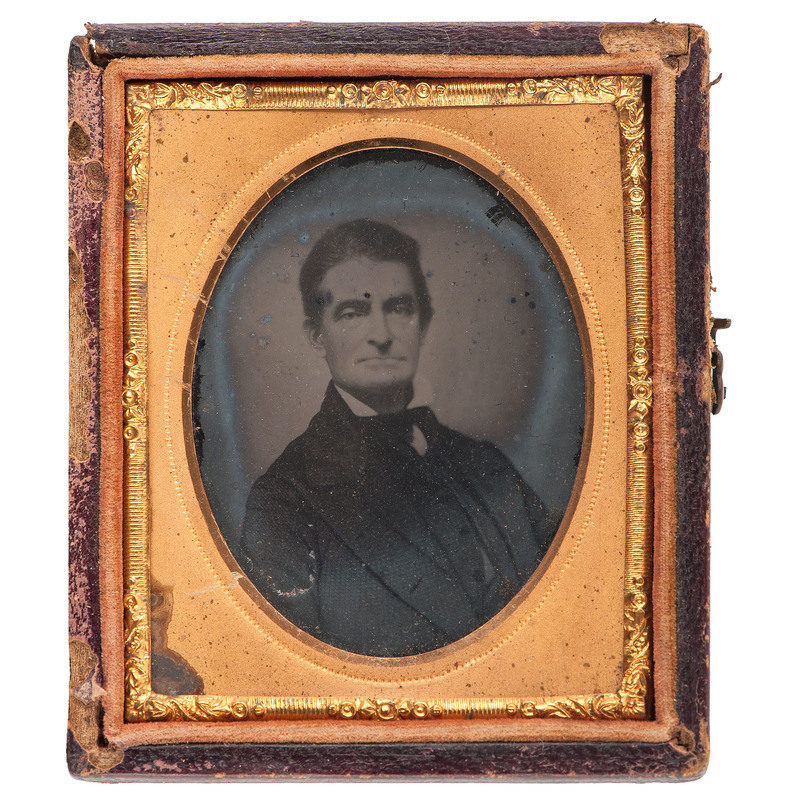 Period copy of the famous 1857 half plate daguerreotype taken by Whipple and Black in Boston and curated at the Boston Athenaeum. Housed in full pressed paper case. Image has some tarnish and discoloration present around edge where mat meets image, along with some spotting to upper portion of image. Case with heavy wear to spine and moderate wear to edges.